Recently, I’ve been asked a few times how long I have been practicing yoga. My answer? Oh, about a year. When I stop and think about my answer, I can’t believe it’s been that long. Before I started practicing yoga, I had never really given it much though — and I was definitely a bit skeptical. My only exposure to yoga had been 15 minutes in a college fitness class, and my friends raving about their hot yoga classes. I decided to try out one of these hot yoga classes I heard so much about, out of curiosity but also out of a simple desire to see my friends more often. That first yoga class was a memorable one. It was a wintry night, and the class was almost canceled due to a snow storm. With a smaller group of students than usual, I definitely stuck out as a newbie. But the teacher was welcoming and understanding that I knew very little about yoga. It was a hot yoga class, which meant we practiced vinyasa yoga in a room heated to around 90 degrees. I found it slightly amusing that it was freezing outside while I was sweating indoors in my workout shirt. I think I was more sore after that first yoga class than I had ever been (well, except maybe after a brutal day of snowboarding). After that class, I was hooked. Not only was it a great work out and physically challenging, but I was energized yet relaxed when it was over. My busy mind needed a break, which the peace of yoga class offered. I continued to attend hot yoga classes when I could — but it did get expensive at times. 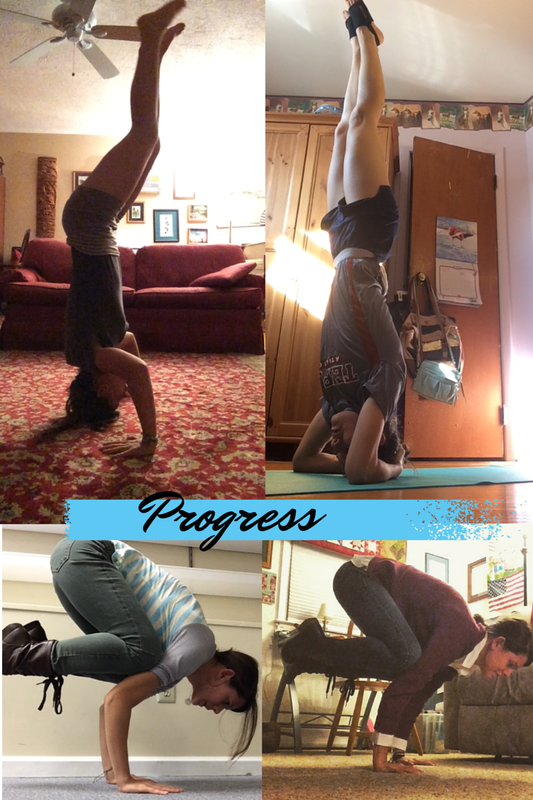 As silly as it may sound, yoga challenges on Instagram also were key to pushing my yoga practice to a new level. 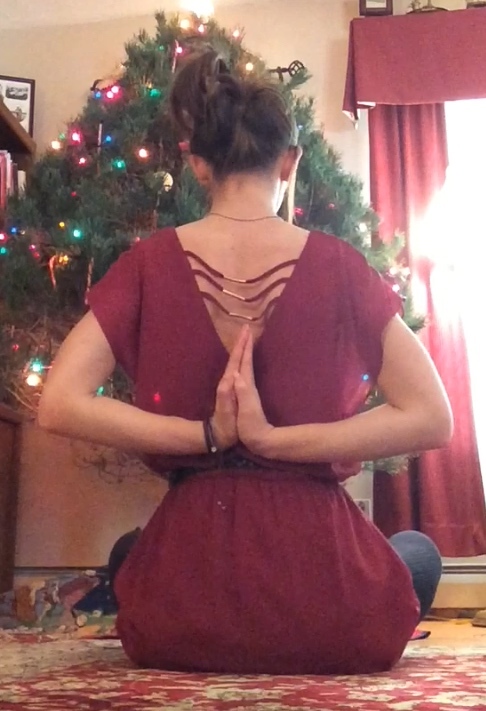 I never had a daily yoga practice, but month-long Instagram challenges forced me to practice every day, even if it was only for five minutes. These challenges also exposed me to asanas (poses) that I couldn’t believe were humanly possible, and showed me that I’ve barely scratch the surface of world of yoga. Now — a bit over a year later — I can’t believe how far I’ve come. A year ago never would have guess I’d be able to do some of the asanas I’ve worked into my practice. I never would have thought that I would practice yoga daily (a recent habit I’ve been developing). And I never would have dreamed that other people would ask me for advice about yoga. Start small. 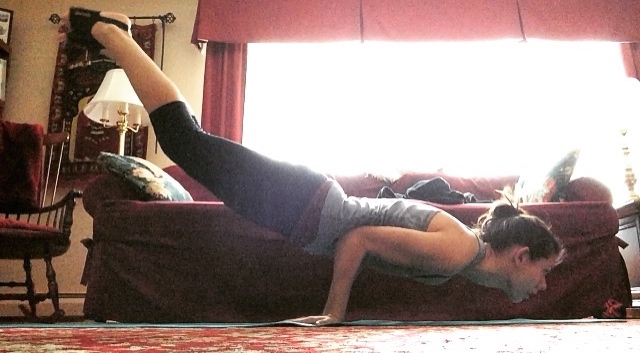 Don’t think you have to jump into handstands or arm balances right away. 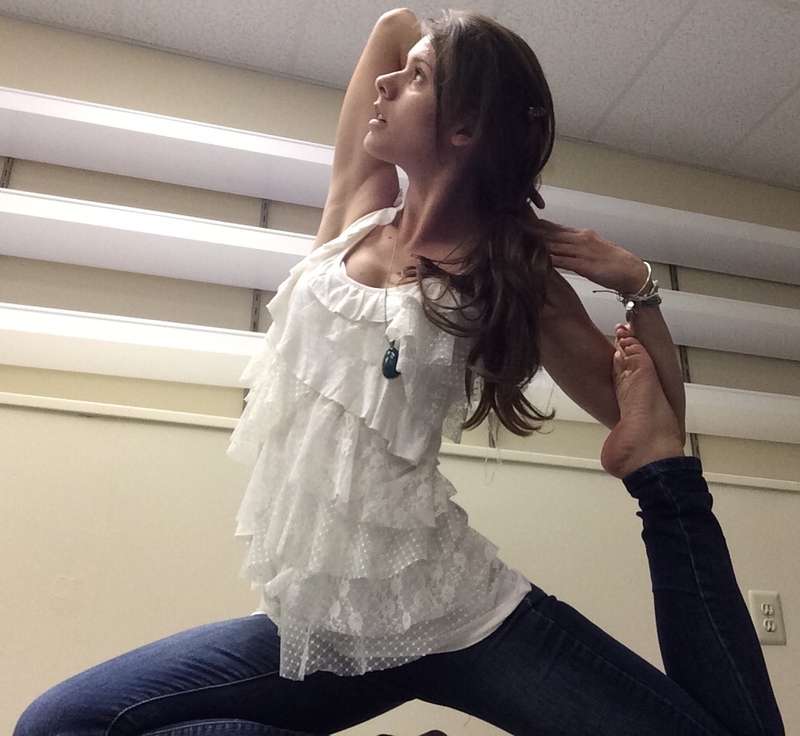 There is always a modification or a beginner pose, and you don’t need to be flexible. The flexibility will come with practice. Know your body. Our bodies are all different, and you need to work at your own pace. Yoga isn’t about a competition. Some days you might be able to get into mermaid pose, and some days you might not be able to — and that’s okay. Take it one breathe at a time. Find “your” yoga. There are many different types of yoga out there, so find one that suites your needs. I like yoga that keeps me moving, which is why I generally stick with vinyasa and ashtanga yoga. Do some research online about the different kinds of yoga or talk to a yogi friend. Practice at a studio (at least a few times). I currently don’t take classes at a studio, but the hot yoga classes I took my first few months of yoga were what really helped me develop my home yoga practice. It’s not necessary, but I found it very beneficial, especially when I just starting out. Get a yoga mat. If you decide to make your home your studio, a mat will help you practice on carpet, hardwood, or whatever your floor is made out of! Use the internet. There are so many resources online! I’ve used YouTube videos to guide me through yoga sessions, and Google’d specific poses to figure out the best way to enter them. Take advantage of all the free knowledge out there. Try an Instagram challenge! There are so many out there, and they are a great way to motivate yourself and try new poses or flows. Some hosts give awesome instructions and modifications for beginners. Check out @IGYogaChallenges for upcoming challenges (or I can give you my personal recommendations). After a year of yoga, I can definitely say that I’m glad I went to that first class. In an upcoming blog post(s), I’ll share some of the benefits I get from yoga and the lessons I’ve learned — and there’s a lot! I realize yoga might not be for everyone, but I say at least give it a shot. After all, that’s all I did.